UNCANNY AVENGERS #12 Written by Gerry Duggan Art by Pepe Larraz, David Curiel Published by Marvel Comics Release Date: August 17, 2016 • All-out action to save an Avenger …FROM ULTRON! • One member of the Unity Squad catches a heck of a bad break. • Plus – what is “The Icarus Protocol”? 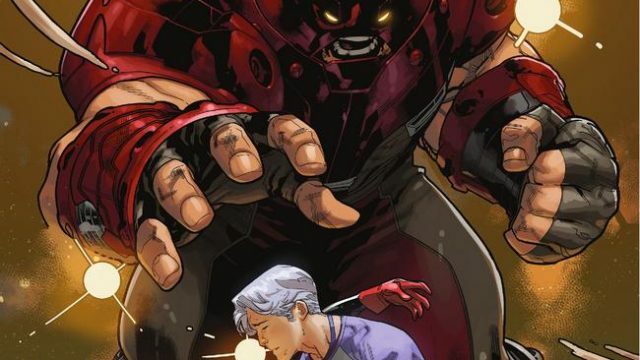 UNCANNY AVENGERS #10 Written by Gerry Duggan Art by Pepe Larraz and David Curiel Published by Marvel Comics Release Date: June 22, 2016 ULTRON! Hank Pym’s journey leads him to a dark discovery. Something wicked this way comes…from outer space! Plus: the eagerly awaited return of Janet Van Dyne!